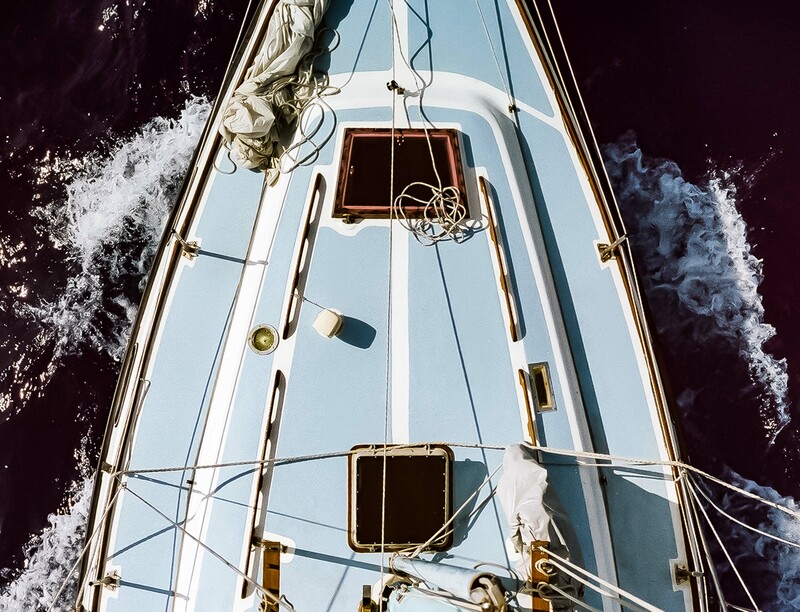 Pacific Ocean, Looking Down On Deck, 1982 - This photo is taken from the boson's chair up the main mast on the Sugar Bear, the 43-foot ketch that I crewed on across the Pacific Ocean. We sailed this 41-foot Morgan Out Island 42 days, not including breaks in Hawaii and Kiribati, out of San Francisco?s Golden Gate to Honiara, Guadalcanal in the Solomon Islands. From there we sailed up the Solomon Island chain. We had a four or five person crew depending on the leg of the journey.